The Northern District of New York Federal Court Bar Association created the Hon. James R. Duane Award to honor a trailblazing jurist and member of the founding generation of lawyers in the Northern District. It is bestowed upon a distinguished member of the bar who has carried on Judge Duane’s legacy of commitment to the practice of law, unswerving integrity, and tireless efforts on behalf of the people of New York. James R. Duane was the first judge to preside over the United States Court for the District of New York on November 3, 1789, the first court ever convened under the sovereignty of the United States. 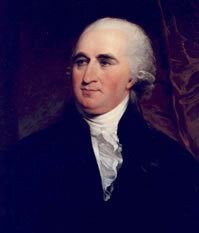 He presided from 1789 to 1794. His seat on the federal bench was the culmination of a long and storied career of public service and the practice of law. Admitted to the bar in 1754, Duane worked in private practice and served as clerk of the Chancery Court in 1762 and as Attorney General of New York in 1767. He played a central role in the birth of America as a delegate to the Continental Congress from 1776 to 1783 and a signer of the Articles of Confederation in 1781. In New York, he served on the committee that drafted the state constitution. He was the first mayor of New York, appointed to the position in 1784 and served until 1789, and served in the New York Senate from 1782 to 1785, and again from 1788 to 1790. Judge Miner was the first recipient of the Judge Duane Award and he represents the very best of a Northern District lawyer. He demonstrated a deep commitment to public service, the advancement of equal justice, and the preservation and understanding of our legal heritage during more than three decades on the federal bench. Judge Miner received a B.S. from the State University of New York and earned his law degree from New York Law School in 1956. He was a captain in the U.S. Army Judge Advocate General Corps. from 1956 to 1959. He served as Columbia County district attorney from 1968 to 1975. He became a justice of the Supreme Court of New York in 1976, where he served until 1981, when he was appointed to the U.S. District Court, Northern District of New York. He was nominated to the U.S. Court of Appeals for the Second Circuit on July 22, 1985, and confirmed by the Senate on July 22, 1985. He served honorably for over 20 years on the Second Circuit, assuming senior status in 1997. Richard Bartlett received the Judge Duane Award in 2004. His career has epitomized service to the profession of law, blending distinguished private practice with education and public service. Widely known as “Dean” Bartlett due to his years as Albany Law School’s dean, he received his B.S. from Georgetown University in 1945 and his law degree from Harvard Law School in 1949. He served as a member (1986-2001) and chair (1998-2001) of the New York State Board of Law Examiners. He was dean and professor of law at Albany Law School of Union University from 1976 to 1986, and served as a New York State Supreme Court Justice from 1973 to 1979. He was chair of the New York Penal Law Revision Commission from 1961 to 1970, and member of the New York Assembly from 1959 to 1966. He is a past president of the New York State Bar Foundation and a retired principal with the firm of Bartlett, Pontiff, Stewart & Rhodes. 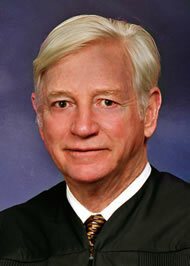 Judge McCurn was a co-recipient of the Judge Duane Award in 2005. Over the span of his career, Judge McCurn’s service to the country and the people of New York has taken the form of eminent private practice, military service, elected office, and federal judge. Judge McCurn earned his A.B. from Syracuse University in 1950, and his law degree from the Syracuse University College of Law in 1952. He served as a U.S. Maritime Commission Midshipman and Lt. j.g. (USNR) from 1944 to 1946. Prior to his judicial appointment, he practiced with the firm of Mackenzie, Smith, Lewis, Mitchell & Hughes, where he was chairman of the Litigation Section and of the firm’s Executive Committee. He was elected to the Common Council of the City of Syracuse and served as president of that body from 1970 to 1979. He was appointed to the U.S. District Court, Northern District of New York in 1979 and served as Chief Judge from 1988 to 1993. He assumed senior status in 1993. 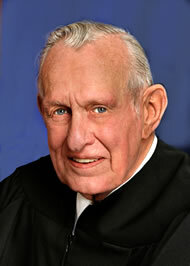 Judge Munson was a co-recipient of the Judge Duane Award in 2005. In addition to a legal career that spanned five decades, Judge Munson served his nation and his community with distinction. While serving in World War II, he received four Battle Stars, a Bronze Star, and a Purple Heart. After serving in the U.S. Army from 1943 to 1945, he earned his B.S. from the University of Pennsylvania in 1948 and his law degree from the Syracuse University College of Law in 1952. From 1952 to 1976 he worked in private practice with the firm of Hiscock, Lee, Rogers, Henley, and Barclay and served as president of the Syracuse Board of Education from 1965 to 1973. 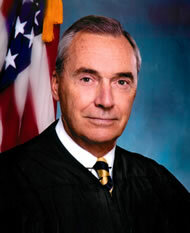 He was appointed to the U.S. District Court, Northern District of New York in 1976 and served as chief judge from 1980 to 1988. He assumed senior status on November 5, 1990. The Judge Duane Award was given to Doreen Simmons in 2006. Throughout her career Mrs. Simmons has demonstrated integrity and dedication to public service, promoting relations between the bench and the bar and pursuing equal justice for all. She received her B.A. from Purdue University in 1970 and law degree from Albany Law School of Union University in 1974. 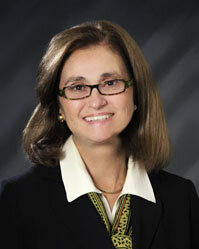 A former prosecutor in the Onondaga County District Attorney’s office, Mrs. Simmons has over 25 years experience in private practice and is the leader of Hancock Estabrook’s Environmental practice group. She is a former president of the Northern District of New York Federal Bar Association; chair of the Character and Fitness Committee, Fifth Judicial District; and a fellow of the New York State Bar Association. Her public service includes serving as legal counsel to the CNY Girl Scout Council; the Diocese of Syracuse; and SAVES Ambulance, Skaneateles, New York; and as a member of the Board of Trustees and Secretary of Christian Brothers Academy. Judge King received the Judge Duane Award in 2009. His varied and distinguished career has personified public service in both federal and state governments. He concluded 23 years of active duty with the U.S. Marine Corps, attaining the rank of Brigadier General and serving as the Senior Judge Advocate of the Corps. In New York State government, Judge King has served in the executive, legislative and judicial branches, having first been appointed an Assistant Attorney General and then serving for five years as an Assemblyman in the (then) 109th Assembly District. In 1995 he was appointed to the New York State Court of Claims, where he held the position of judge through 2000. He was subsequently appointed as General Counsel of the New York State Department of State until he retired in 2003. Judge King received his B.A. from Westminster College and his law degree from Albany Law School, and an L.L.M. from George Washington University. The Judge Duane Award was given to George H. Lowe in 2012. The award recognizes Judge Lowe for his long and distinguished legal career, his service to the Northern District of New York, and his selfless pro bono work. 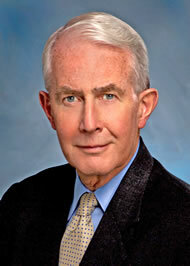 Judge Lowe is a graduate of Williams College and Columbia University School of Law. After a successful term of service in the United States Army, Judge Lowe was a litigator in private practice for several years. In 1971 he became an Assistant United States Attorney, Northern District of New York in Syracuse. After a short return to private practice, President Carter appointed him as the United States Attorney for the Northern District of New York in 1978 where he served with distinction for four years. Judge Lowe followed that public service with an illustrious 21-year tenure with Bond, Schoeneck & King, where he chaired the litigation department and served on several firm management committees. During that time he received numerous awards for his pro bono service and service to the legal profession. Among other things, he is one of the founding trustees of the Northern District of New York Federal Court Bar Association, is a past president of the Onondaga County Bar Association, and is a two-term Director of the National Association of Former United States Attorneys. In February 2004, Judge Lowe was appointed to serve as United States Magistrate Judge for the Northern District of New York. Throughout his eight year term, Judge Lowe brought his keen intelligence, his broad life experience and his sound judgment to each of his cases earning the gratitude and respect of litigants and lawyers alike. He returned to Bond, Schoeneck & King in 2012, where he continues his practice and service to the legal profession. Judge Scullin was awarded the Judge Duane Award in 2013 in recognition of his commitment to public service, his dedication to the Northern District of New York and his exemplary legal career and personal and professional integrity. His example inspires practitioners to strive for the highest professional goals in their service to clients, colleagues, the community and to all who have involvement with our federal courts. Senior Judge Scullin received his commission appointing him a United States District Judge for the Northern District of New York on February 10, 1992, and took the oath of office on March 13, 1992. On April 6, 2000, he became Chief Judge of the Northern District of New York. He attained Senior status on March 13, 2006. Senior Judge Scullin, a native of Syracuse, attended and graduated from Niagara University in 1961 and Syracuse University, College of Law in 1964. In November of 1964, Senior Judge Scullin entered active duty with the United States Army, received training as a paratrooper and ranger, and thereafter served as an infantry commander with the 173rd Airborne Brigade in the Republic of Vietnam. He received numerous awards and decorations, including the Bronze Star. After release from active duty, he continued to serve in the United States Army Reserve retiring in 1991 with the rank of Colonel. Following military service, Senior Judge Scullin entered the private practice of law with the firm of Germain and Germain, Syracuse, New York. Thereafter, he served as an Assistant District Attorney for Onondaga County. In 1971, he was appointed by the New York State Attorney General as one of the original prosecutors of the then newly-formed Statewide Organized Crime Task Force and in that capacity, served as the Assistant in Charge of the Albany Regional Office. In 1978, he was appointed by the Governor of the State of Florida as Chief Prosecutor of the Governor’s Council for the prosecution of organized crime. He returned to the private practice of law in 1980 and in 1982 was appointed the United States Attorney for the Northern District of New York, a position he held until his appointment to the federal bench. In that capacity, Senior Judge Scullin supervised numerous investigations and prosecutions in drug trafficking, organized crime, and – most notably – public corruption. Senior Judge Scullin is a former member of the Second Circuit Judicial Council and was the Circuit representative on the Judicial Conference of the United States, which is the policy-making body for federal courts throughout the nation. In addition to his regular duties as a District Court Judge, Judge Scullin was a member of the Foreign Intelligence Surveillance Court, having been appointed by Chief Justice Rehnquist to a seven-year term which ended in May 2011. The Foreign Intelligence Surveillance Court meets in Washington, DC and is in session throughout the year. Senior Judge Scullin is an honorary member of the Northern District of New York Federal Court Bar Association Federal Bar Council, State of Florida Bar Association, the Onondaga County Bar Association (having served on the Board of Directors from 1988 to 1990), honorary member of the Board of Advisors, Syracuse University College of Law, the Law College Association of Syracuse University and is a past member and chairman of the City of Syracuse, County of Onondaga Drug & Alcohol Abuse Commission, member of the Board of Directors, Elmcrest Children’s Center, Christ the King Retreat House, and the Franciscan Collaborative Ministries Advisory Council. Senior Judge Scullin is married to the former Veronica (Cricket) Terek. They have five daughters. 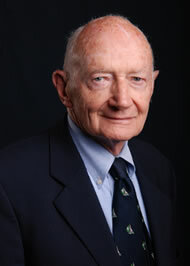 The Judge Duane award was given to William J. Dreyer in 2014. William J. Dreyer is one of the most highly regarded lawyers in the area and has been practicing law for 45 years. A graduate of Bowdoin College and New York Law School, Mr. Dreyer served as a Captain, JAGC, in the United States Army, where he defended and then prosecuted court-martial cases. He later became an Assistant United States Attorney for the Northern District of New York and also served as Chief Assistant from 1976 to 1980. Mr. Dreyer left the United States Attorney’s Office in 1980 and entered private practice with the law firm of Harvey & Harvey where he tried complex criminal and civil cases. In 1987 he founded the Albany-based law firm of Dreyer Boyajian LLP where he concentrates his practice in the areas of white collar crimes and public corruption cases. Mr. Dreyer is widely considered by his peers as an authority in the area of federal practice and trials and is regarded by his opponents and judges as a trial attorney with the courtroom instincts and skill that only years of trial experience can develop. He is listed in the first and all subsequent editions of the Best Lawyers in America and has received the highest possible peer review rating in legal ability and ethical standards from Martindale Hubbell. He was recently awarded the ‘Lifetime Advocate’ by the New York State Trial Lawyers Association for an enduring commitment to excellence in the art of trial advocacy for more than 40 years. Mr. Dreyer is a charter member of the Albany Law School American Inns of Court and has served on various merit selection panels for the appointment of United States magistrates and bankruptcy judges. He is also a founding member and past President of the Northern District of New York Federal Court Bar Association and is a frequent lecturer at seminars and CLE programs for the New York State Bar Association and other organizations in the area of federal and state civil and criminal practice and ethics and civility. Mr. Dreyer has been a member of the CJA Committee since 2000 and served on various panels, including the CJA Committee’s Advisory Group for the Second Circuit Court of Appeals and the Justice Breyer Committee. He is also a member of the Federal Bar Council and in 2006, was invited by the American Bar Association to address the Judiciary of Thailand in Bangkok on Public Corruption and White Collar Prosecutions in the United States. John Duncan was the 2017 recipient of the Hon. 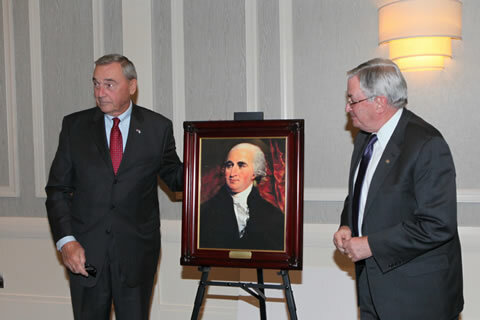 James R. Duane Award, given by the FCBA to a distinguished member of the Bar who has carried on Judge Duane’s legacy of commitment to the practice of law, unswerving integrity, and tireless efforts on behalf of the people of New York. In 2015, John retired from the U.S. Attorney’s Office in Syracuse after a nearly 40-year career as a prosecutor, having spent the first 10 years at the Onondaga County District Attorney’s Office – where he became Chief Assistant District Attorney – and the remainder as a federal prosecutor. John tried more than 100 cases, including three where the defendants were convicted of killing a law enforcement officer. 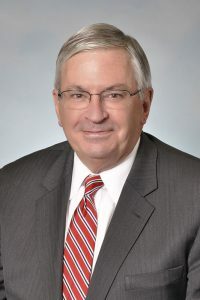 John has been a mentor to many attorneys, and continues to devote his time to educating members of the legal profession as a co-presenter of the FCBA’s Trial Practice and Evidence Series, and as an adjunct instructor of Advanced Trial Practice at Syracuse University College of Law. John sat down to discuss his career, including his commitment to community outreach and teaching. If you want to read more about John’s accomplishments, we also recommend this 2015 profile by the Syracuse Post-Standard, which recounts how a murder defendant assaulted him in court while the judge was instructing the jury. What attracted you to become a prosecutor? When I enrolled at Syracuse University College of Law, my intent was to become a tax lawyer. As I became exposed to other areas of practice, my interest shifted to litigation. In my third year, I chaired the Moot Court Board. After graduation, I worked in private practice for three years doing civil cases but decided to join the Onondaga County DA’s Office with the specific goal of gaining more trial experience. When I started, I saw firsthand the harm suffered by many crime victims. It created an interesting dynamic for me. As a prosecutor, I had the ability to file charges against an offender that would hold them responsible for their crime and hopefully provide some justice for the victim. But, regardless of the crimes they committed, I also had a strong ethical obligation to ensure that every defendant I prosecuted was treated fairly under the law and justly convicted. These challenges appealed to me and I have never looked back on my decision to become a career prosecutor. How and why did you decide to switch from being a state prosecutor to a federal prosecutor? After almost 10 years, I was a Chief Assistant trying homicides, violent crimes and drug cases. Then-U.S. Attorney Frederick Scullin started a program that allowed state prosecutors to be appointed as Special Assistant U.S. Attorneys. Given that many drug cases could be prosecuted at either the state or federal level, I jumped at the opportunity to prosecute cases in federal court. He appointed me as a Special AUSA, and we became acquainted with each other over the next year. At a point, he offered me a permanent position with the office but I declined twice because I thought I might have the opportunity to run for DA. When that did not materialize, fortunately, the U.S. Attorney called me a third time and said, are you ready now? I said yes and joined the office in 1988. The U.S. Attorney’s Office afforded me a more expansive platform to be a prosecutor. The cases were more complex and varied. The motion practice was more demanding. I had ample resources to prepare and try cases, with assistance from many great law enforcement agencies. I’ve always had support from outstanding colleagues and was blessed to have a superb legal assistant my entire career. After 40 great years, all this made my decision to retire in 2015 even more difficult. You had 3 cases involving defendants who murdered police officers. How did you come to prosecute those cases? It was a responsibility that I took very seriously. I had developed a great deal of experience in prosecuting homicide cases in the DA’s Office and felt up to the challenge. Later, I was able to bring that background to the U.S. Attorney’s Office where violent crimes, especially homicides, were not as prevalent. The first case occurred in 1987 when I was still a state prosecutor. It involved the killing of an Onondaga County deputy sheriff and serious wounding of a second deputy during a failed escape attempt from a local court. The defendant, Billy Blake, seized a firearm from one of the deputy’s holsters as they walked out of court and shot them both. He was caught almost immediately. He interposed a mental health defense claiming he was subject to uncontrollable fits of violent behavior. Blake was convicted after a colorful trial that the local community followed closely. At the time, it was rare that a police officer was killed in the line of duty. It, sadly, occurs more often these days. The second case occurred after I joined the U.S. Attorney’s Office. On October 30, 1990, Syracuse Police Officer Wallie Howard Jr. was killed in the line of duty during an undercover drug deal gone wrong. Officer Howard was a member of our Federal Drug Enforcement Task Force and many of us knew him and worked with him. Although there was an initial state prosecution of the three defendants arrested at the scene of the shooting, the state was unable to charge the two ringleaders who were not present but who set up the drug deal. Current U.S. Attorney Grant Jaquith and I developed a federal case against these two additional individuals who were equally responsible for Officer Howard’s death. After a lengthy trial, all five were convicted on federal drug and murder charges. The third case involved four members of a seasoned Philadelphia-based crew who robbed a New Hartford, N.Y., jewelry store at gunpoint on February 27, 2006. Following a dramatic, high-speed chase, New Hartford Police Officer Joseph Corr was fatally wounded as he bravely attempted to capture one of the robbers. That individual was able to escape back to Philadelphia but was killed the next day in a shootout with U.S. Marshals. Only one subject was apprehended that night in New Hartford. Two other robbers escaped undetected in a second vehicle. The case had its challenges. After a very lengthy, multi-state investigation, AUSA Richard Southwick, a skilled former state prosecutor, and I were able to identify and indict the remaining robbers on federal interstate conspiracy, robbery and felony-murder charges. All three were convicted after trial and are serving life sentences. At the U.S. Attorney’s Office you did a lot of community outreach. What were some of your most memorable experiences in this area? I first developed an interest in community outreach when I was in the DA’s Office. As a result of handling many drugs cases, I learned a lot about the drug culture and why people got involved in using and selling drugs. As a prosecutor, I thought I could use that knowledge to support some community strategies to deter young people from getting involved with illegal drugs. My direct involvement started with the Syracuse Onondaga Drug and Alcohol Abuse Commission. I had just joined the U.S. Attorney’s Office and started to work closely with U.S. Attorney Fred Scullin to create a comprehensive community response to address the drug problem, especially crack cocaine. With Fred’s considerable personal involvement and the resources of the U.S. Attorney’s Office, we were able gain support to establish this new community-based anti-drug coalition. It was among the first in the country to be awarded federal funding. We had great participation from federal, state and local law enforcement, local government and community organizations. Fred served as the Chairperson for the first year and I followed after as Chair for a number of years. Because of a very gifted and committed staff, we were able to put a number of innovative drug prevention programs in place. The Commission later became recognized nationally as the best community anti-drug coalition in the United States. In the early 90s, I also got involved, along with others, in establishing the Onondaga County Youth Court. Under this program, young, first-time offenders, who committed minor crimes, could have their cases heard by a panel of three high school “judges” as an alternative to family court. After hearing arguments from student defense attorneys and student prosecutors, the “judges” would impose up to 50 hours of community service. I chaired the Youth Court Advisory Board for many years. It proved to be a very successful way to deter young offenders from future involvement with the criminal justice system. Some prosecutors, when they retire, try their hand as a defense attorney. Is that something you’d be interested in? I admire those who are skilled at doing defense work. Despite the fact that I still miss the courtroom, after 40 years of practicing law, I am not looking to take on defense work. I keep busy enough. In addition to serving as an adjunct at Syracuse Law School and doing occasional lectures for the FCBA, I’m on the board for New Justice Conflict Resolution Services, which provides mediation and counseling services, and am a member of the DeWitt Police Commission. I like reading, currently The Gatekeepers by Chris Whipple. It’s a review of the past White House Chiefs of Staff. I find it to be a fascinating read given I served in the White House during my military years. My wife and I also enjoy traveling and spending time with our very first grandchild. We are also fortunate to have our three children living locally. I am also an avid collector of vintage sports cars. I have a workshop where I maintain them. I first started tinkering with cars when I was a teen. My father encouraged me to do my own work when I couldn’t afford to pay a mechanic to repair something. It was great advice. My very first car, which I still own, was a 1953 MG TD. I bought it when I was 18 and am currently restoring it. Of my other cars, one of my favorites is a 1970 Jaguar E-Type. I found it locally in the early 90s and did a complete restoration. While it continues to win awards in car shows, the best part is just driving it on a country road, top down, on a warm summer’s day. Life is good.